About Teens in the Driver Seat – A peer-to-peer safe driving program for your school. Teens in the Driver Seat® is a peer-to-peer safety program for America’s youth. Too many teens are dying. Car crashes kill more young people than any other cause, accounting for nearly half of all teen deaths in America each year. About 2,800 U.S. teens die each year in car crashes; that’s the equivalent of a school bus loaded with teenagers crashing once every week for an entire school year. On a per-mile driven basis, teens are eight times more likely to die in their first six months of driving than adults. The majority of teen passenger deaths happen when another teenager is driving. For every American teen killed in a car crash, about 100 more are injured. Besides the human tragedy of teen deaths, the societal costs of these crashes amount to $30 billion per year for the nation. Most people don’t know why. Most teens and parents are unaware of the driving restrictions imposed on them by the Graduated Driver Licensing (GDL) laws. Serious crashes are more frequent for teens learning through parent-taught driver education. Teens are a key part of the solution. Started in 2002, Teens in the Driver Seat® is the first peer-to-peer program for teens that focuses solely on traffic safety and addresses all major risks for this age group. Teens help shape the program and are responsible for implementing it and educating their peers and parents; Texas A&M Transportation Institute (TTI) provides the science, guidance and project resources. Teens in the Driver Seat® is available to high schools in California, Georgia, Nebraska, and Texas and we are currently looking for schools in other states to apply to begin the program. Additionally, the junior high school program is available in Texas and Georgia. Teens in the Driver Seat® is helping make a difference. Texas has taken great strides in saving teen lives and Teens in the Driver Seat® is proud to be part of the solution. In Texas, the number of teen drivers involved in fatal crashes has dropped nearly 70 percent and is the only state where fatal crashes involving teen drivers has decreased every year since 2002. Teens in the Driver Seat® program surveys show risk awareness levels increasing by up to 200 percent. Cell phone use at Teens in the Driver Seat® program schools has been shown to drop by 30 percent, and seat belt use has gone up by over 14 percent. 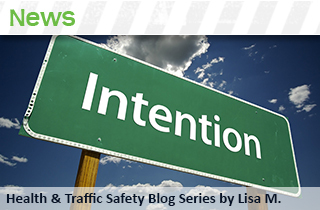 A rigorous 20-county control group analysis for Texas indicates the program results in an average decrease of 14.6 percent in injury and fatal crashes (total) where the program has been sustained for three or more years. Over 1,300 schools now have implemented the Teens in the Driver Seat® program, reaching over one million teens. The program has also been deployed in 37 states states outside Texas. 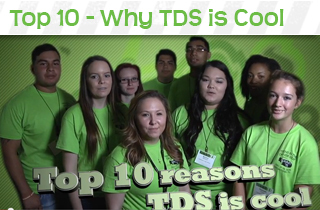 Because of the positive results shown in numerous studies, TDS has won over 20 awards (including six national awards) and has been recognized as a national best-practice model four times by the U.S. Department of Transportation, the Governors Highway Safety Association, and the National Safety Council. 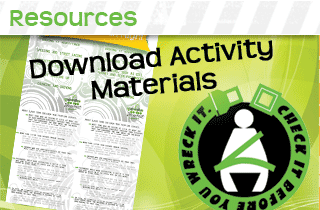 Learn how to get Teens in the Driver Seat® started at your school.